Mind Of My Own uses WordPress and Google Analytics to gather non-personally identifiable information on our visitors. This information helps us understand where our website traffic is coming from, how the app is being used, what articles and videos are being viewed and for how long. If you sign up to our newsletter we may use your email address to include information about products or services. You can opt out of these at any point. Mind Of My Own is registered with the Information Commissioners Office and holds accreditation with the international standard for information security, ISO27001. The materials on this site, such as documents, files, text and graphics, are protected by copyright, trade mark laws, design rights, database rights and other intellectual property rights, which are the property of Mind Of My Own Ltd. Copyright Mind Of My Own Ltd 2018-2023. All Rights Reserved. The content available on our site and associated channels including Vimeo, YouTube, Facebook, Instagram andTwitter are distributed under a Creative Commons Attribution-Noncommercial-No Derivative Works 3.0 Unreported license. This means you may share our content for non-commercial purposes, as long as you attribute it to us. You may not modify, adapt or in any way exploit any content from Mind of My Own without prior written consent from us, and from all other entities with an interest in the relevant intellectual property. Please note that some content is not made by us (e.g. on our blog) and in that case the legal policy of the content owner applies. If you are a commercial or public organisation seeking to transmit our content on your own website for commercial gain, you must contact us first to seek permission. Contact us through email or write to us at our head office, Mind Of My Own Ltd, Watson House, 54 baker Street, London, W1U 7EX. If permission is granted, you may not change or delete any author attribution, trade mark, legend or copyright notice. We assume no responsibility whatsoever for websites that Mind Of My Own either hyperlinks to or otherwise refers to. In particular, we do not assume any responsibility for any information or content on such sites (including but not limited to any views, advice, opinions, advertising, or recommendations). Nor do we assume any responsibility in connection with any product or service such sites may offer. Under no circumstances will Mind Of My Own Ltd, its officers, employees, contractors or content providers be liable, directly or indirectly, for any loss or damage resulting from you accessing or using, or otherwise in connection with, any website either hyperlinked to or otherwise referred to on our Site. While Mind Of My Own Ltd takes reasonable steps to ensure the quality of content and information made available on Mind of My Own in general terms (other than content and information provided by users of the Sites), neither it nor its officers, employees, contractors or content providers assume any responsibility for the accuracy, correctness, relevance, completeness or currency of the information or other content on the site. The information and other content on the site are for general information only and are not intended to replace or substitute for the services of trained professionals. 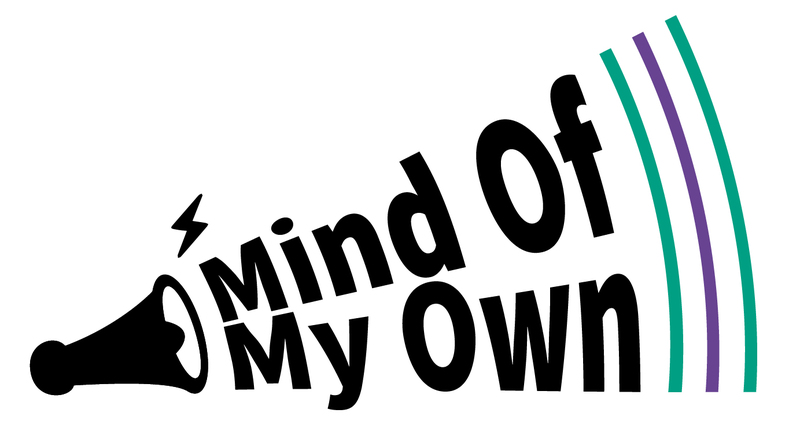 Mind Of My Own Ltd does not warrant that any functions contained in Mind of My Own will always be available or will be uninterrupted or error-free, or that content and materials on Mind of My Own or the server that makes it available will be free of viruses or other harmful components. You should take appropriate precautions to ensure that any content you download is free of such viruses and other harmful content. We control and operate the site from our offices in the United Kingdom. We do not represent that the content or other information provided on the site (including any advertising, promotion or any service) are appropriate, relevant or available for use outside the UK. Except for death or personal injury caused by our negligence, Mind Of My Own Ltd, its officers, employees, contractors or content providers shall not be liable for any loss or damage arising from or otherwise in connection with your use of Mind of My Own or any information, services or content on Mind of My Own. If you have a query about this policy please email us. Want more Mind Of My Own news? We are ready to tell you all about how Mind Of My Own apps are revolutionising the world of children’s participation. You can drop us a line, give us a call or arrange to meet the team in person. Better care and support happens when children are listened to.